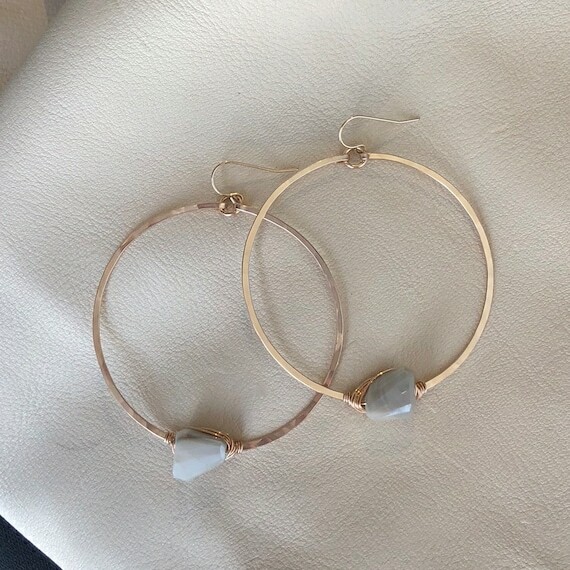 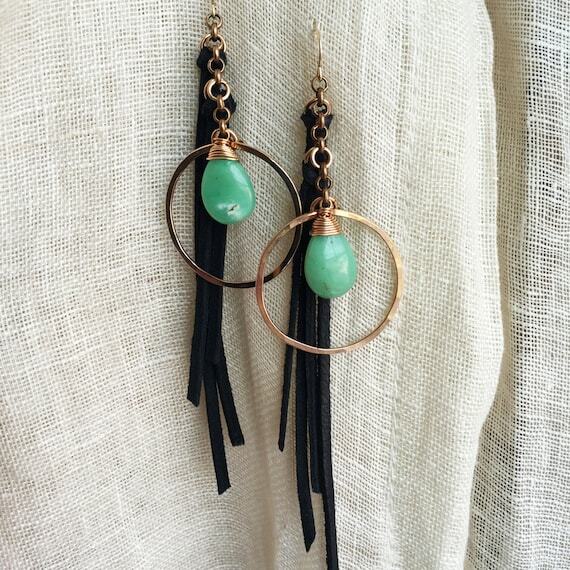 The Pilgrimage Earrings are inspired by the new Pilgrimage Music Festival in Franklin, TN! 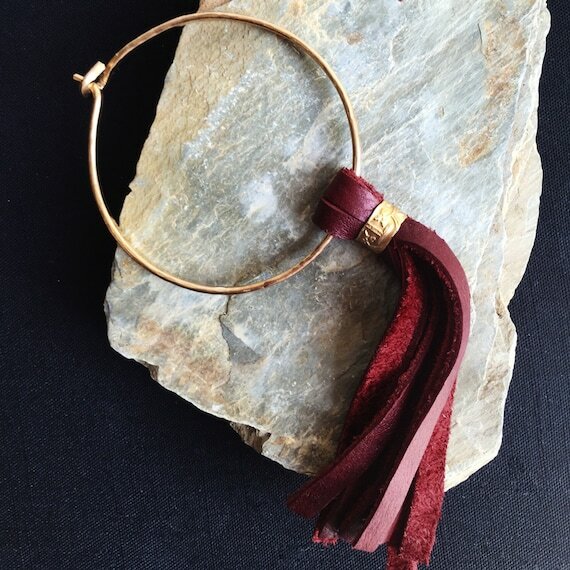 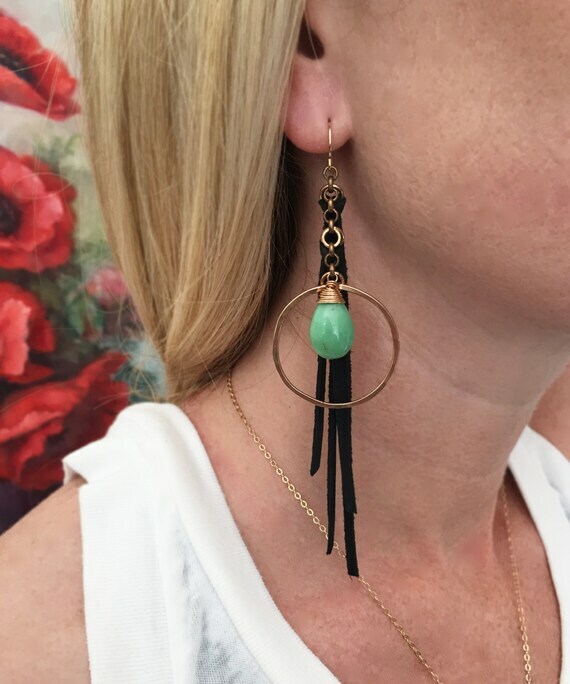 They feature beautiful smooth chrysoprase gemstone drops, hammered bronze hoops and long black deer leather fringe-A bohemian dream! 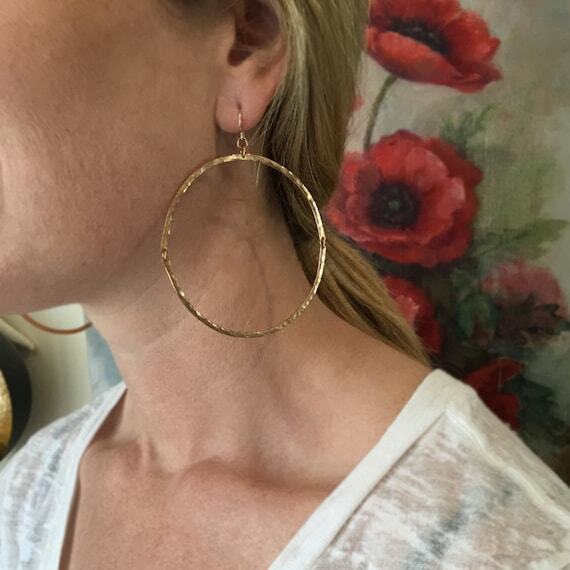 Approximately 4.5" long on 14k gold-filled ear wires.